I believe the true hallmark of hospitality is the effort you put forth in taking care of your guests. 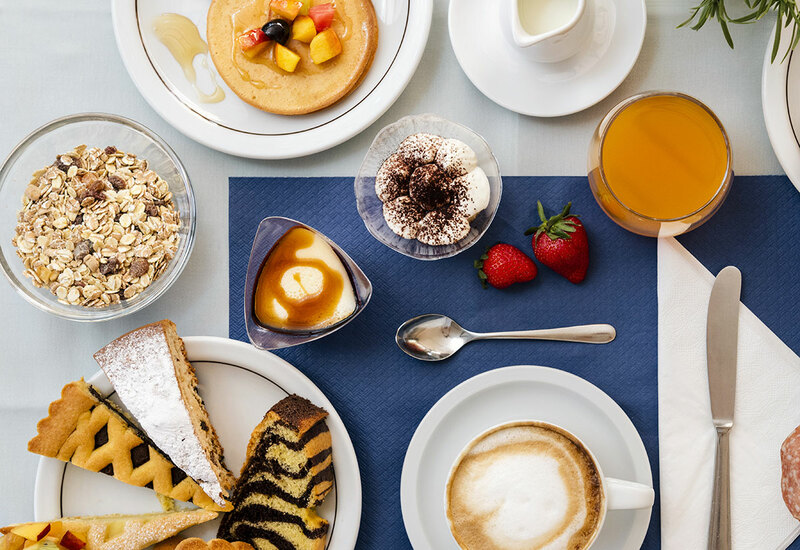 And for me, the process starts early every morning, when I prepare the delicious pies, cakes, and fragrant pancakes you will find in our rich breakfast buffet. I am always here, ready to address any request you may have or, should you wish, to simply have a chat and get to know each other. If what you want is a totally relaxing holiday, there is no better place. With its new Marina, San Giuliano Mare really is a charming spot, a romantic and peaceful haven where you can enjoy the beach from dawn until dusk in total safety, as well as partake in the many events for children and adults held in the Piazza della Darsena. 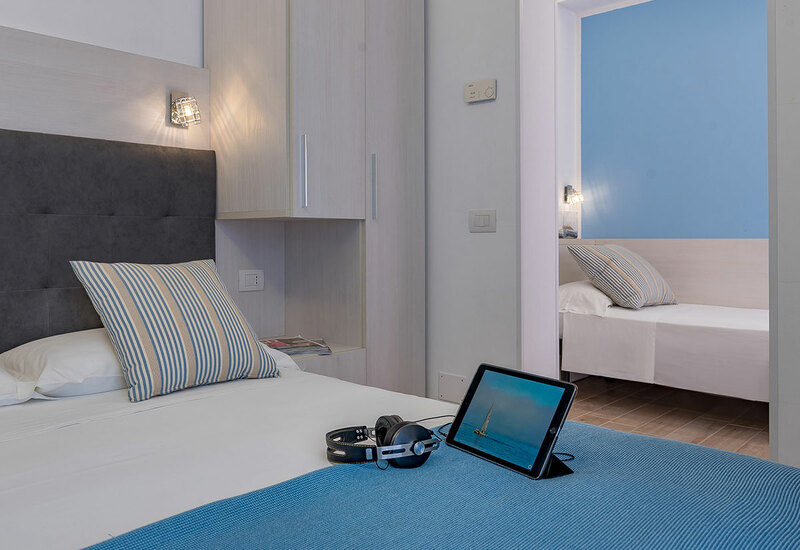 We’re here, right in front of the beach and less than 2 kilometres from Rimini’s historic centre. WHAT ELSE BESIDES THE BEACH? 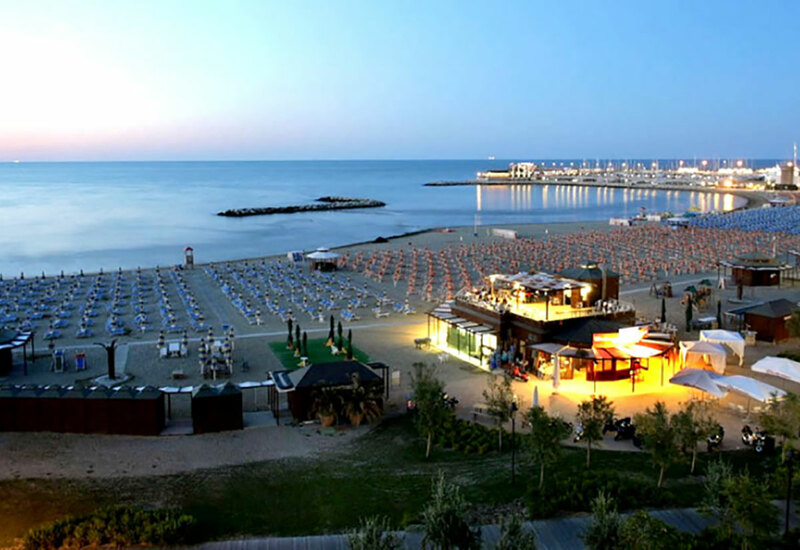 San Giuliano Mare is a true seaside resort town for families and young adults – the only one on Rimini’s riviera. A sandy stretch of beach umbrellas and loungers awaits, with services tailored for adults, children, and even your four-legged friends. By the way, your furry pal is always welcome at our hotel, and will be treated like royalty..